Install fraud is a class of mobile fraud that covers bot and server-based installs, install hijacking, device-based install fraud, DeviceID reset fraud, DeviceID reset marathons as well as fraud hiding behind Limit Ad Tracking. Install validation (on iOS) is the most common tool used to block install fraud, and part of AppsFlyer’s DeviceRank™ solution. IP address and DeviceID blacklisting block known fraudsters – though not all IP and DeviceID blacklists have sufficient scale, first-party data and machine learning to deliver substantial protection. Basic CTIT modeling can block some, but not all install hijacking (for comprehensive coverage, see Install Fraud Detection below). 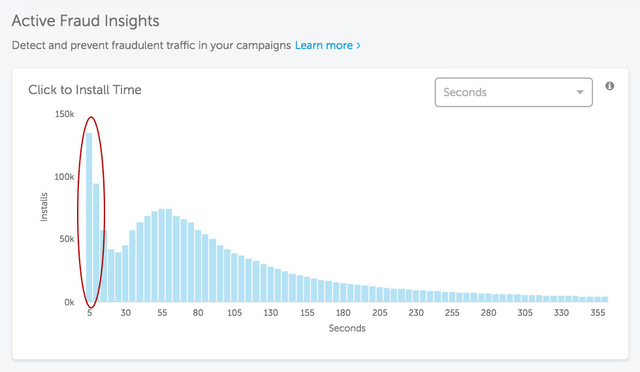 Where install fraud was once hard to detect, comprehensive fraud dashboards now provide accessible, real-time insights. Look for high concentrations of New Devices to identify DeviceID Reset Fraud. Large numbers of New Devices at scale indicate DeviceID Reset Marathons. 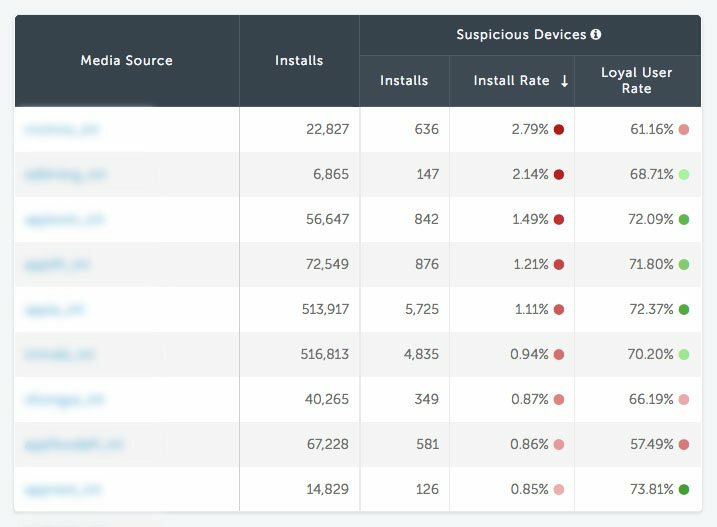 Similarly, high install volume from DeviceIDs rated as Suspicious indicate install fraud, particularly when accompanied by low retention rates. 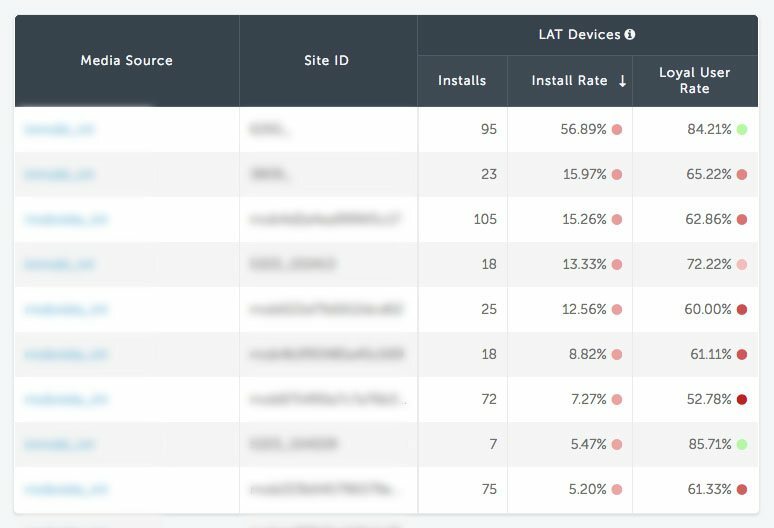 High concentrations of installs from sources with Limit Ad Tracking enabled indicate install fraud. High volumes of installs with short CTIT indicate install hijacking.